REMINDER – JOIN US ON THURSDAY NIGHT! 6 p.m. to 10 p.m. Thursday! We have a gorgeous selection of dresses and sporstwear from all of our favourite designers. And they will be modelled by our favourite models plus some surprise guest models. Please mark this special event on your calendars and let us know if you plan to come. 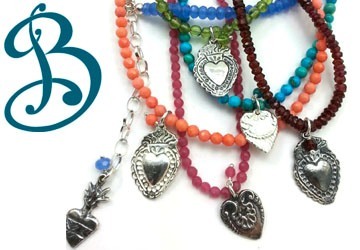 Fredericton’s award-winning designer Trudy Gallagher, owner of Bejewel, is well known in the Canadian art jewellery world for her specialization in handmade pieces – everything from bracelets, earrings and rings to recycled jewellery and sterling ties. Her passion began at an early age and was nurtured by her grandmother. As a child Trudy would play dress-up with her grandmother’s costume jewellery, pinning everything to the bottom of her dress because “if I pin it to the top, I couldn’t see it”. 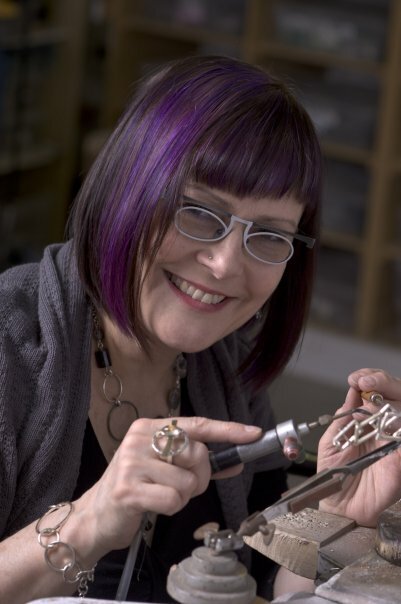 This passion has been carried on to Fredericton’s growing art community where Trudy is an instructor at the New Brunswick College of Craft & Design and edVentures Fredericton, Atlantic Canada’s largest learning vacations program.